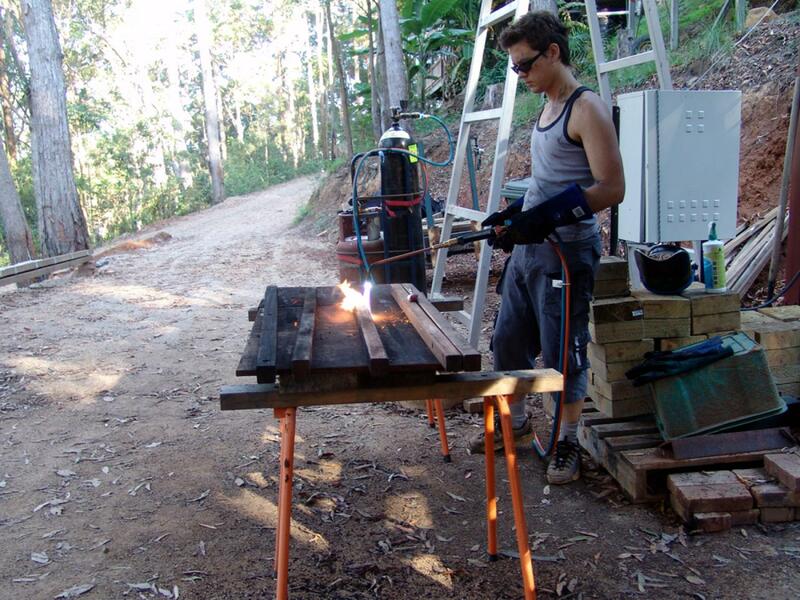 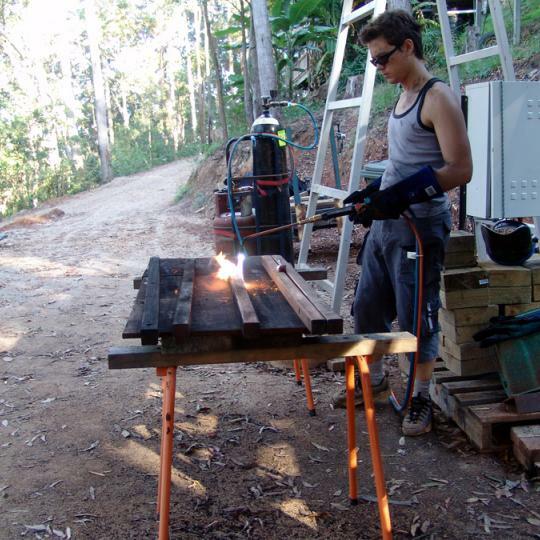 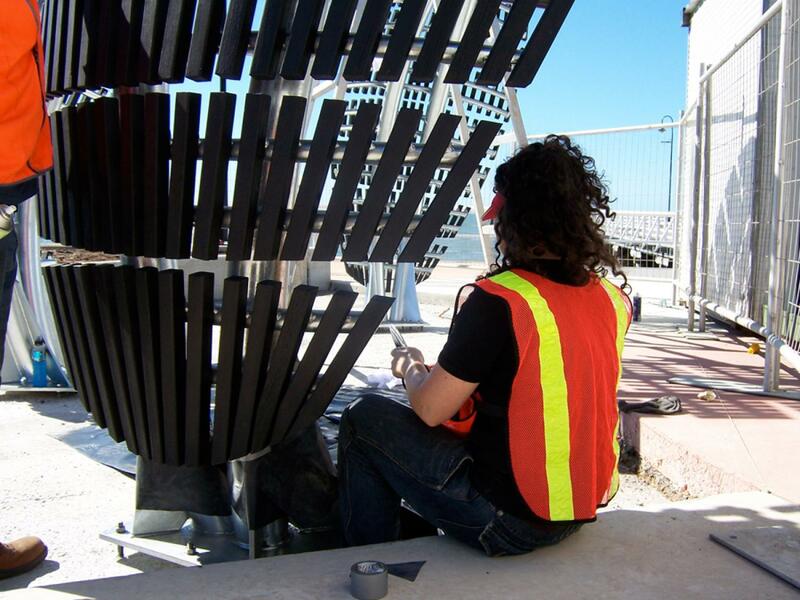 burnished hardwood, hot dipped galvanized steel, stainless steel hardware. 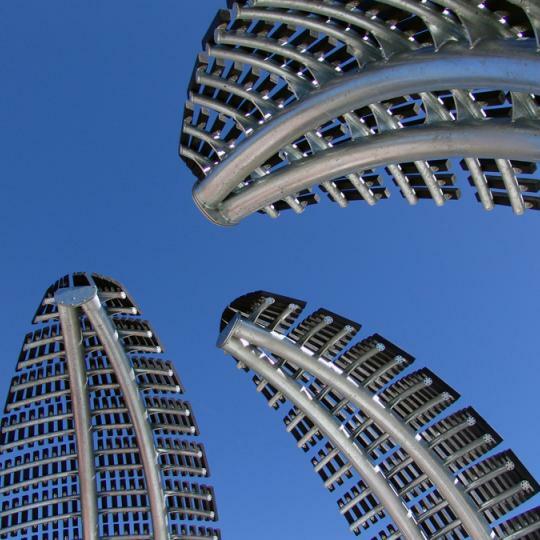 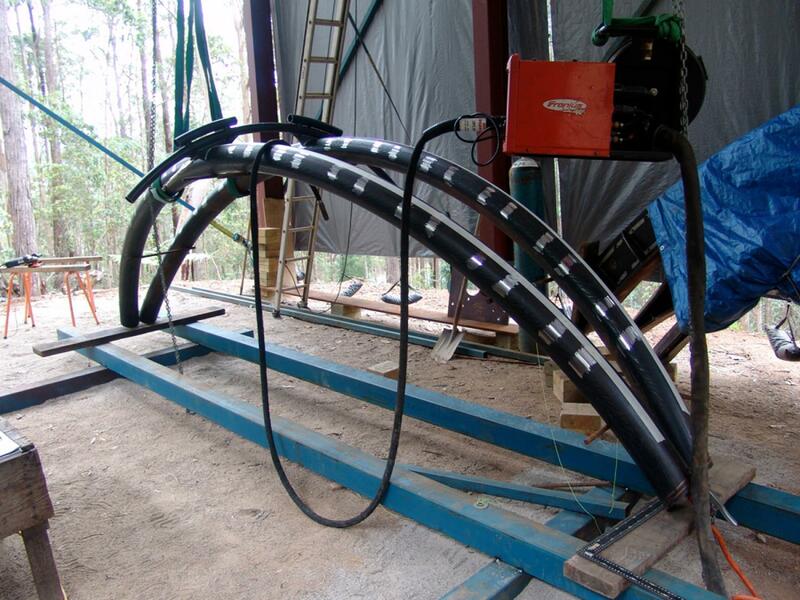 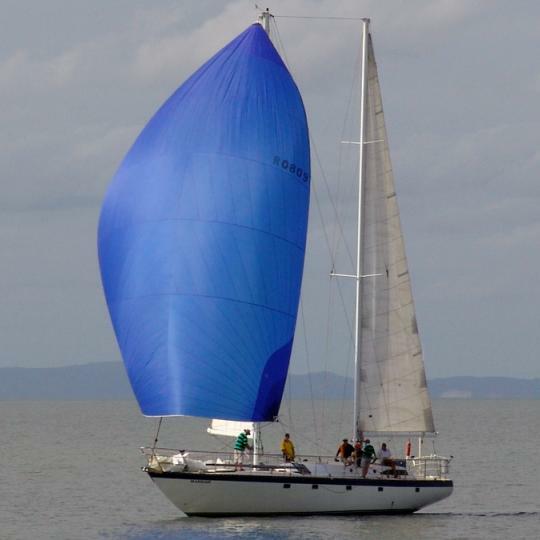 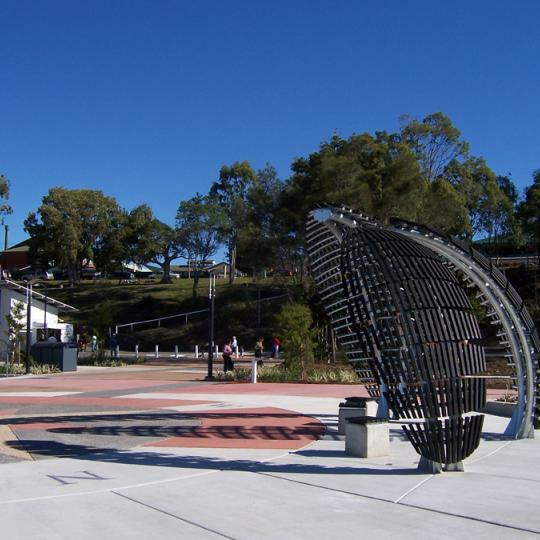 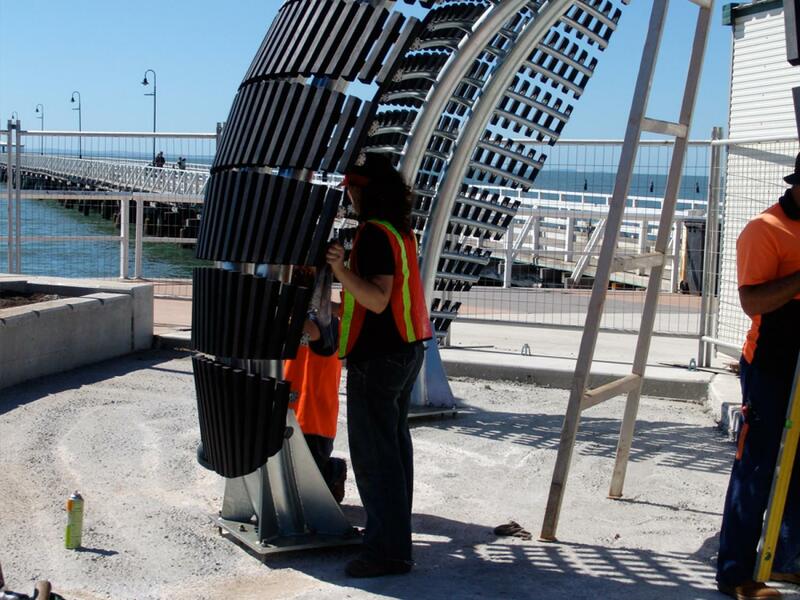 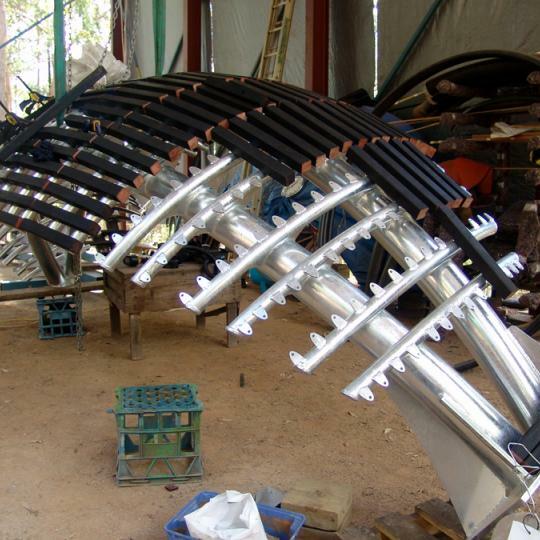 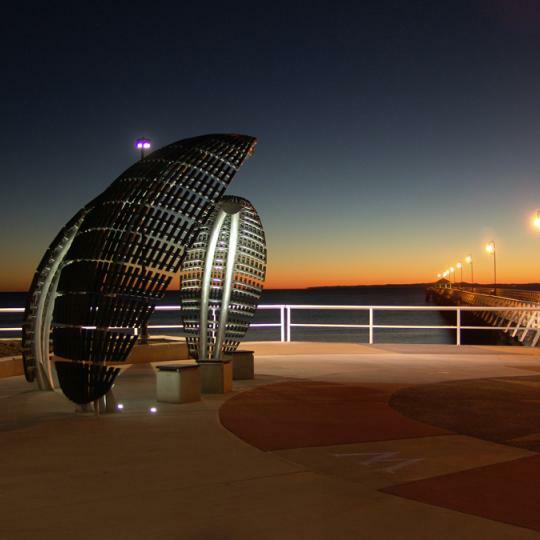 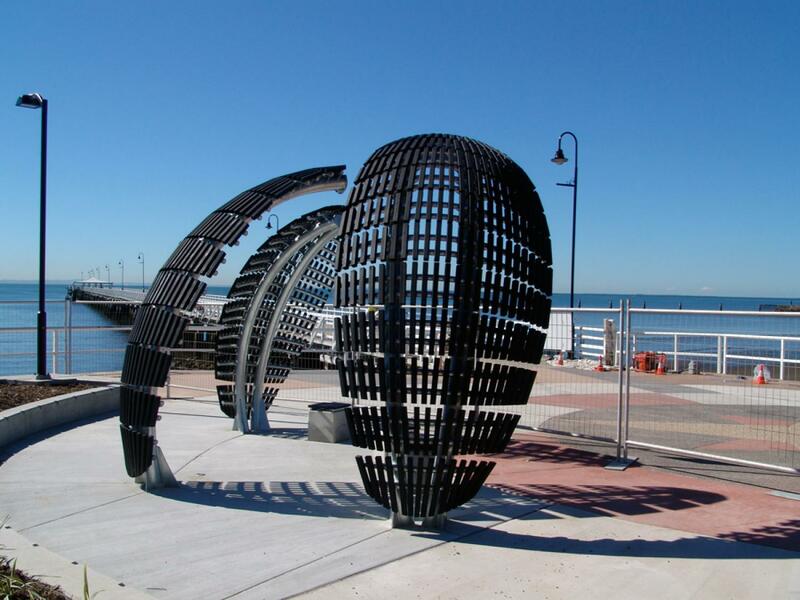 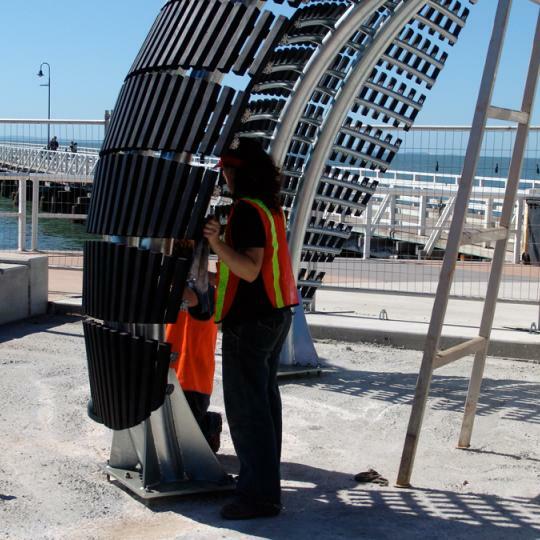 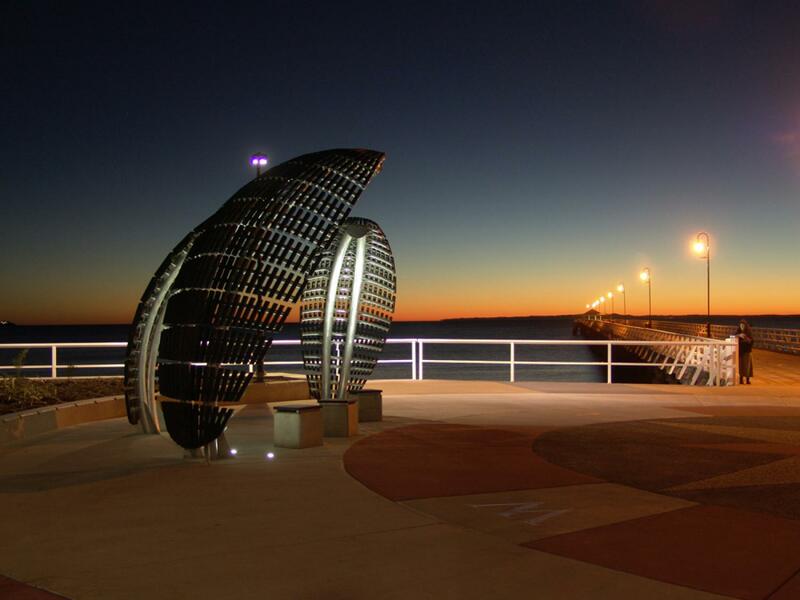 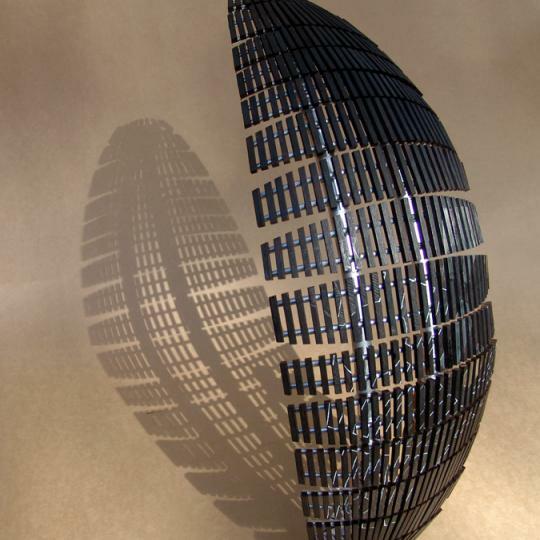 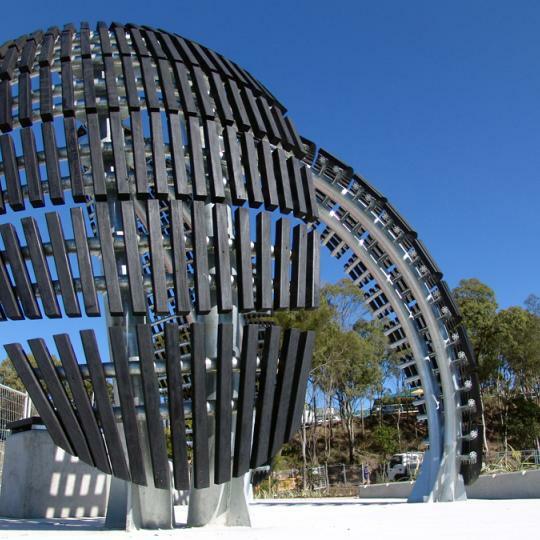 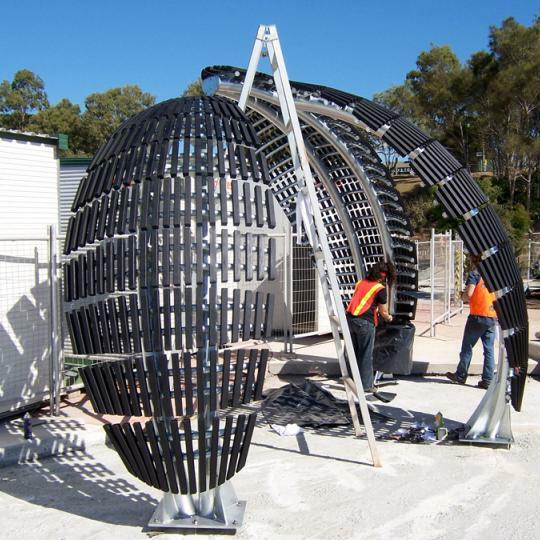 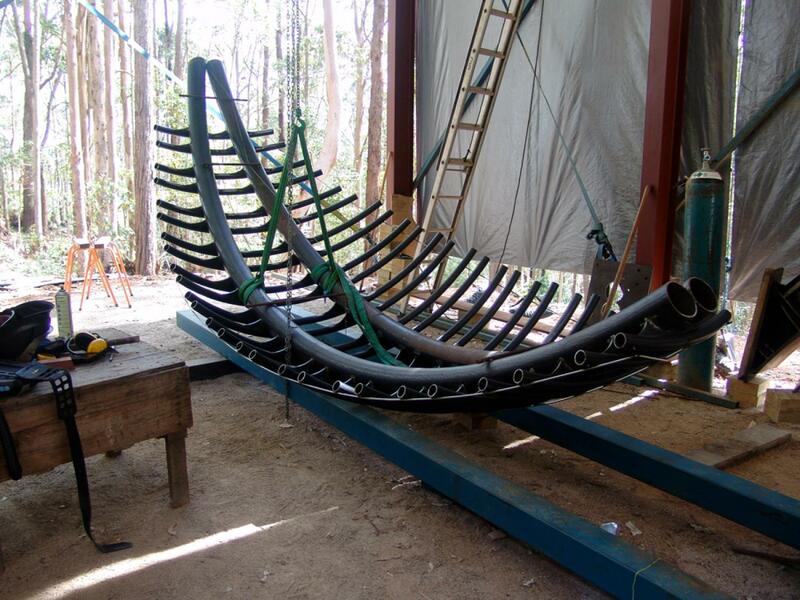 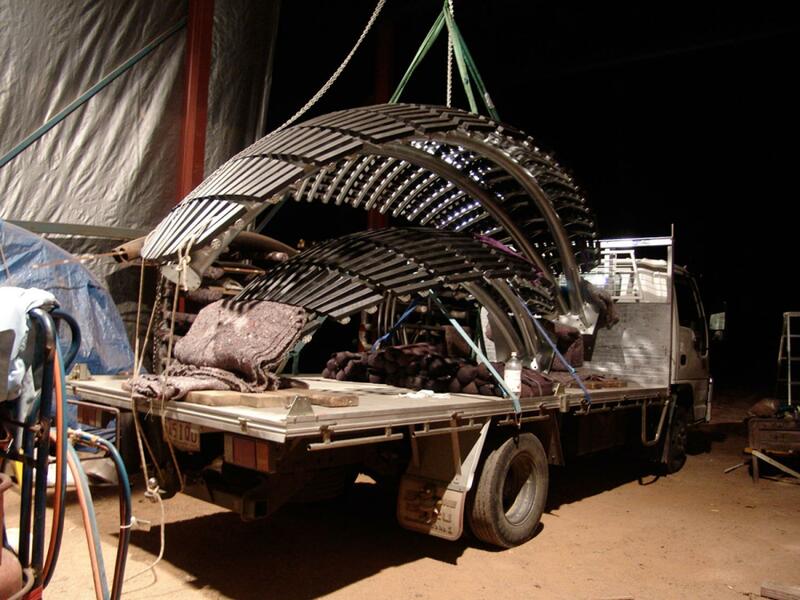 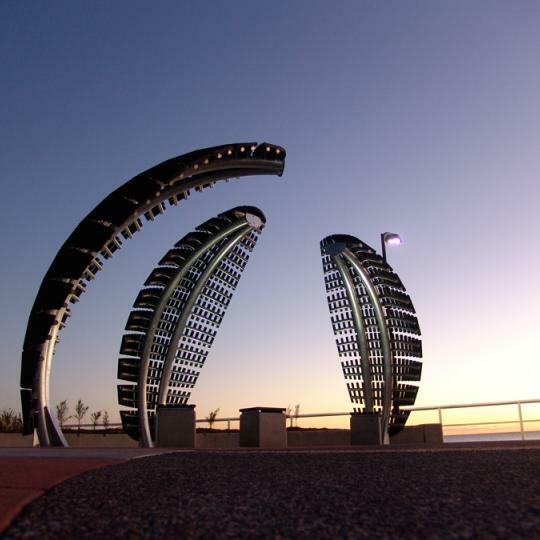 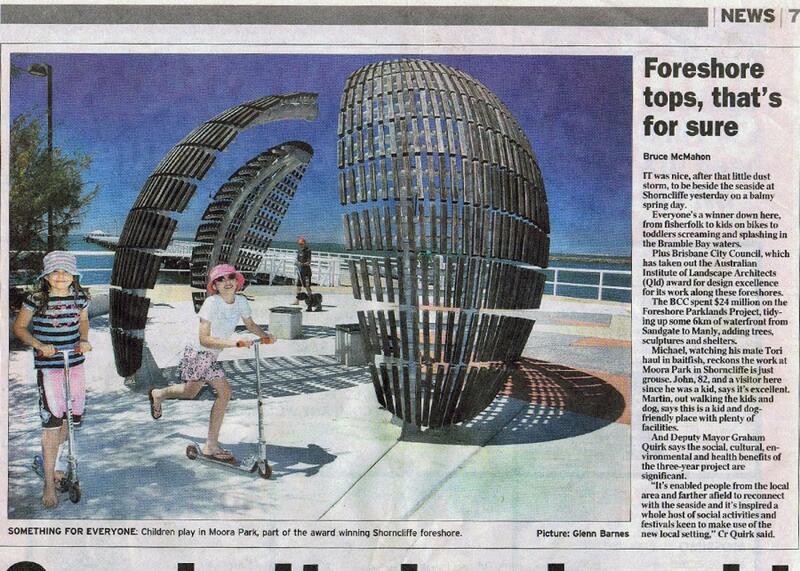 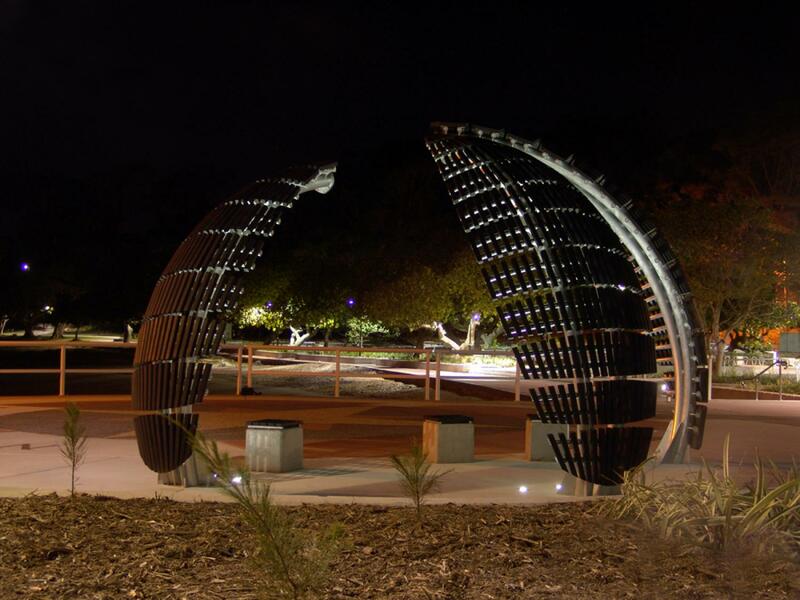 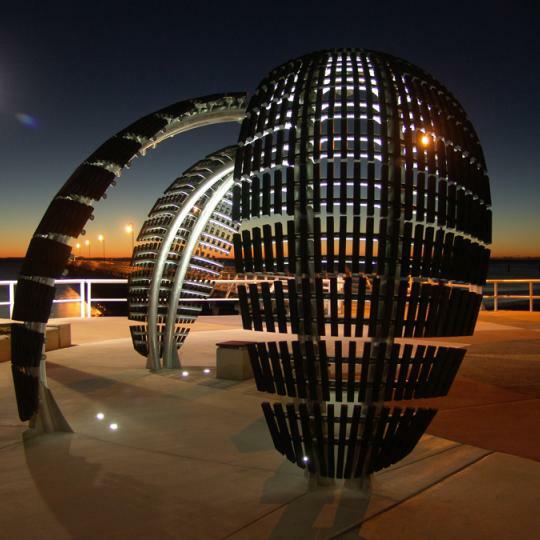 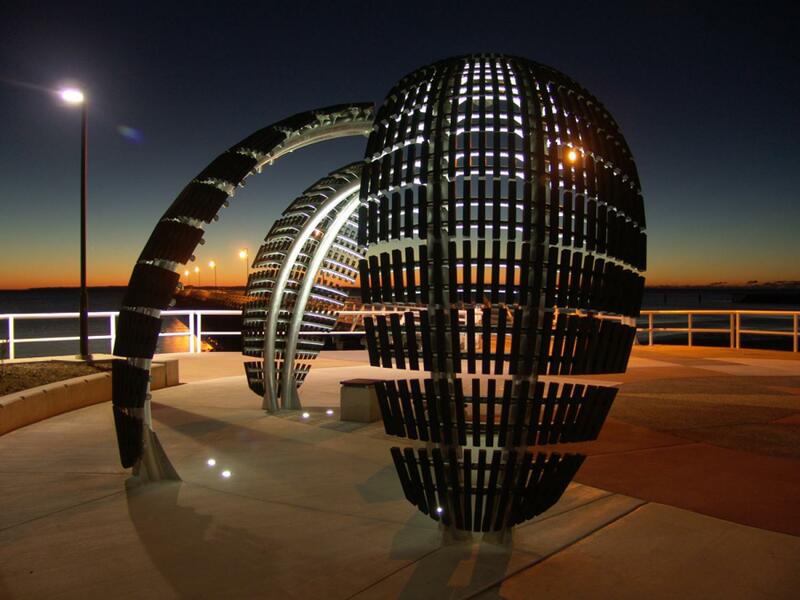 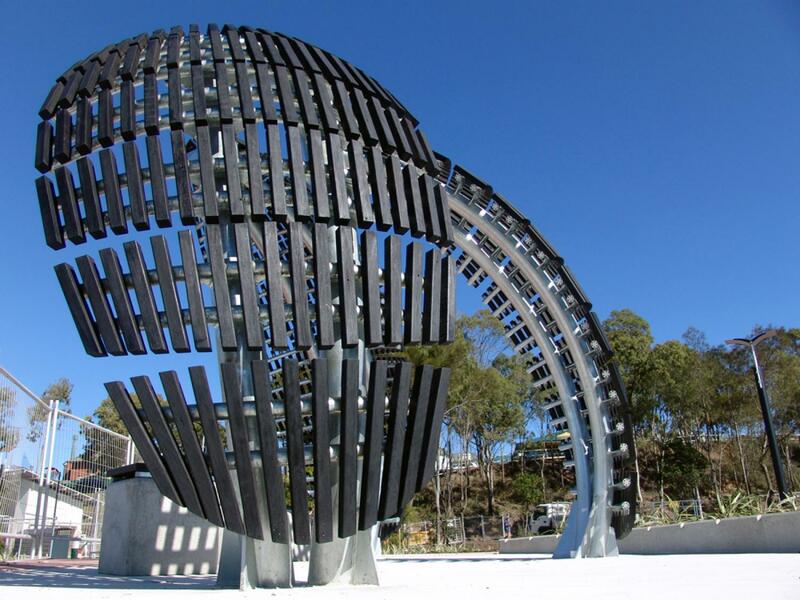 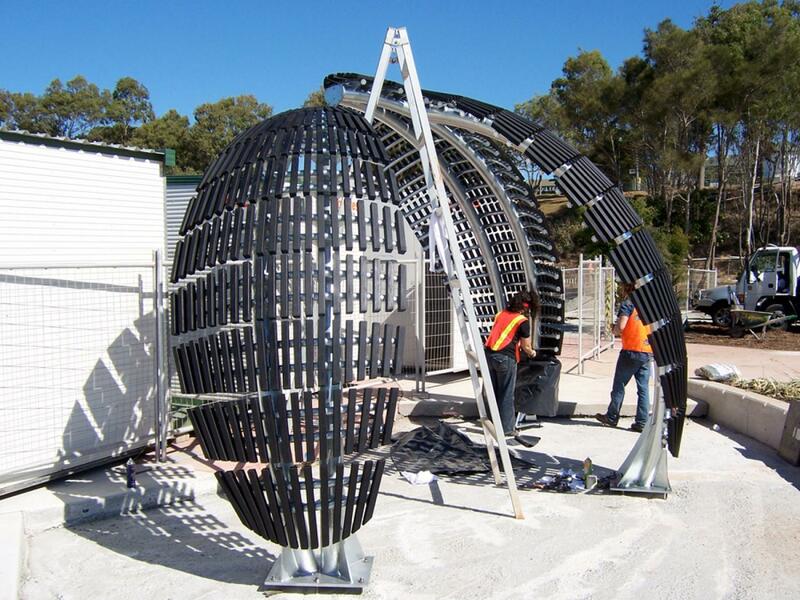 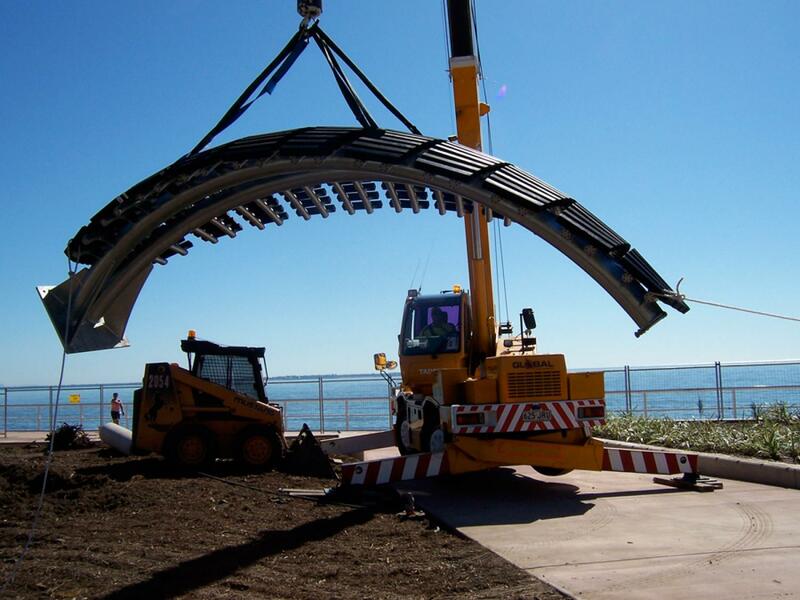 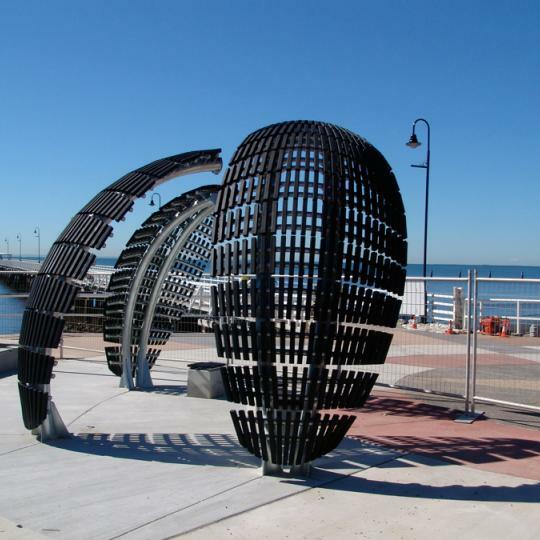 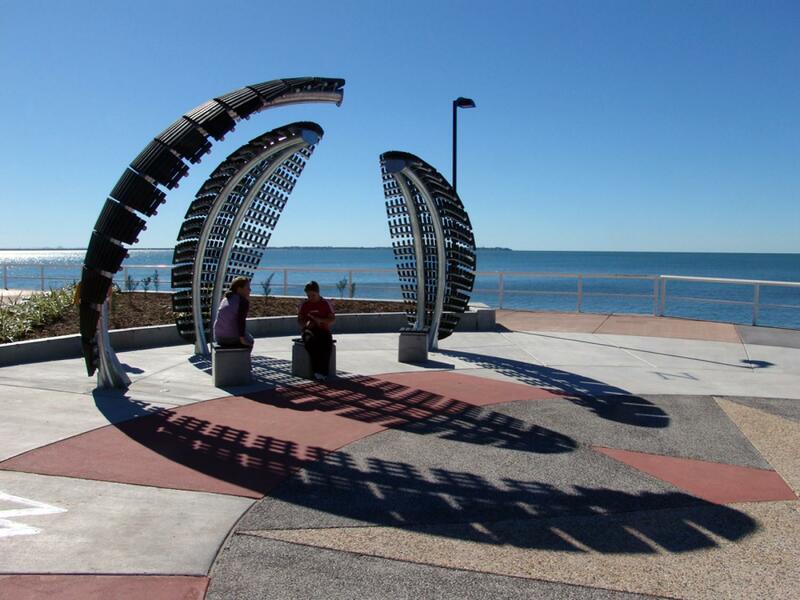 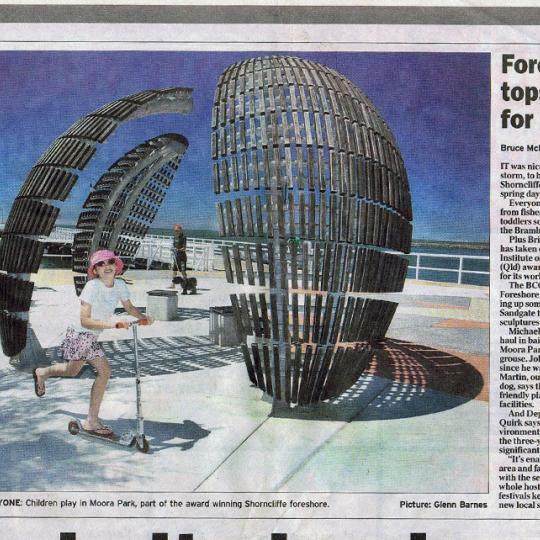 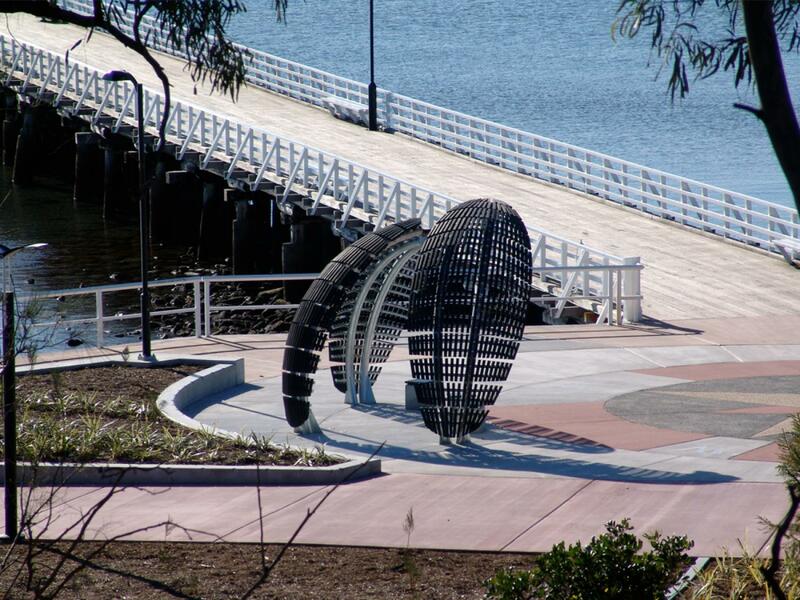 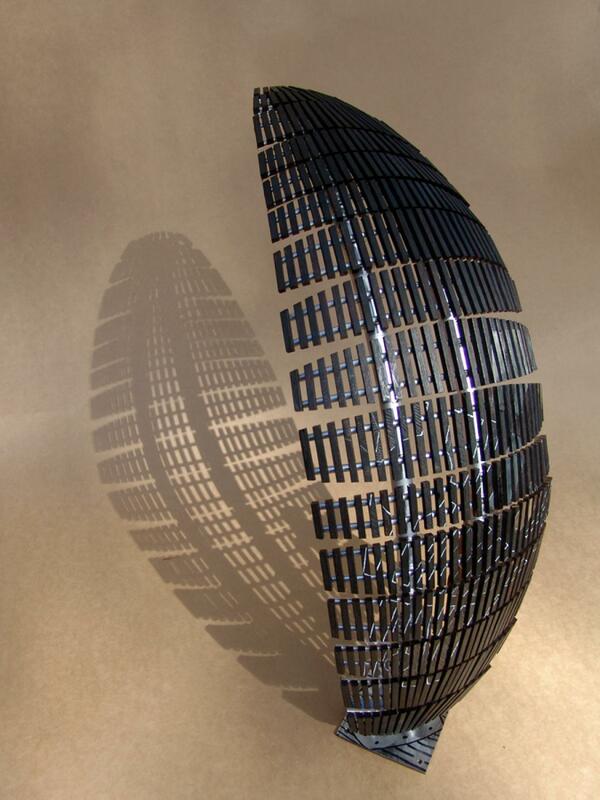 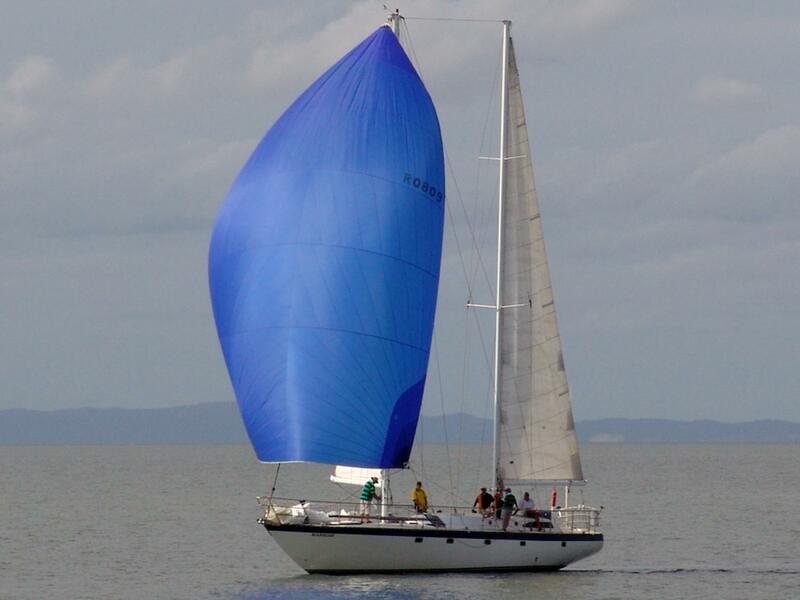 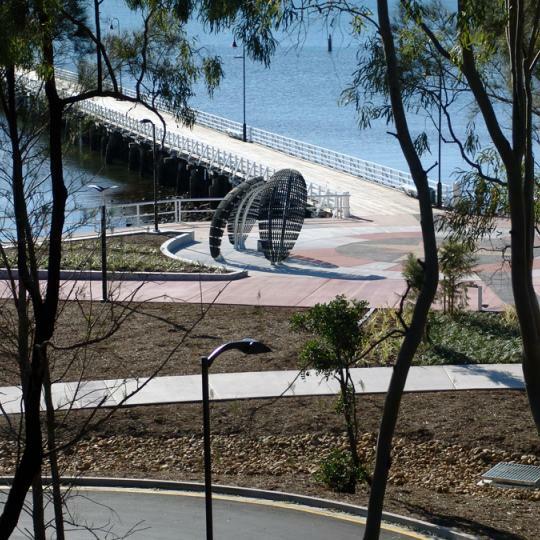 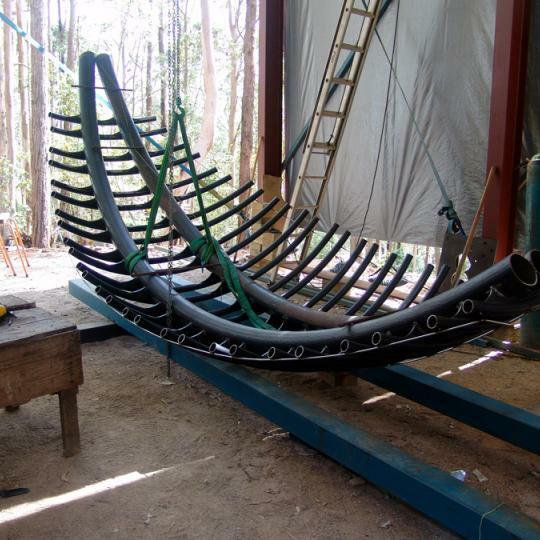 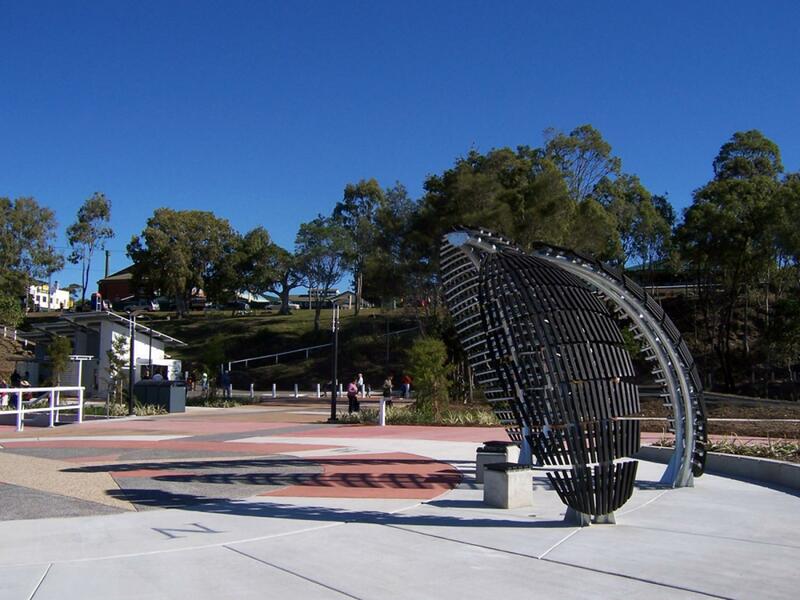 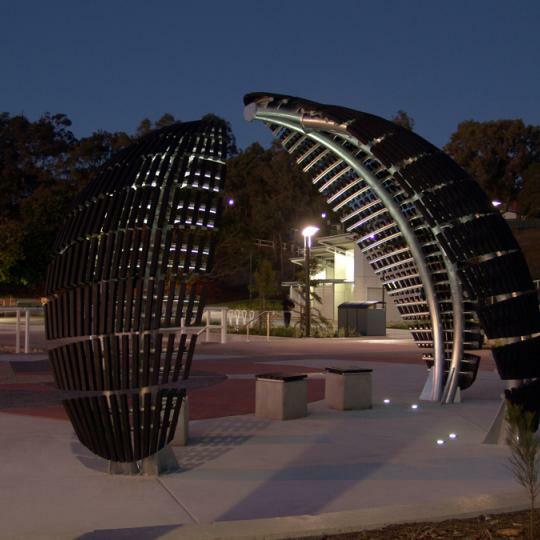 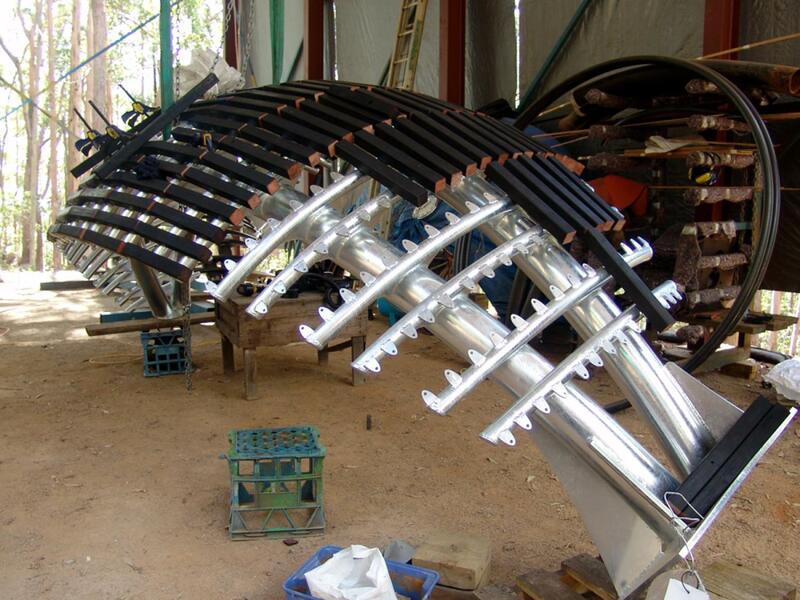 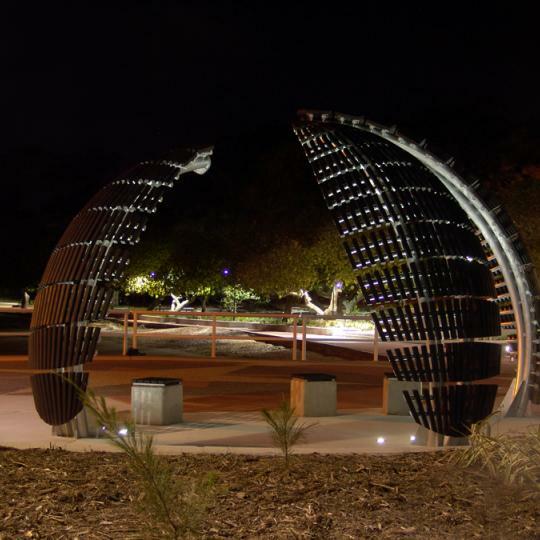 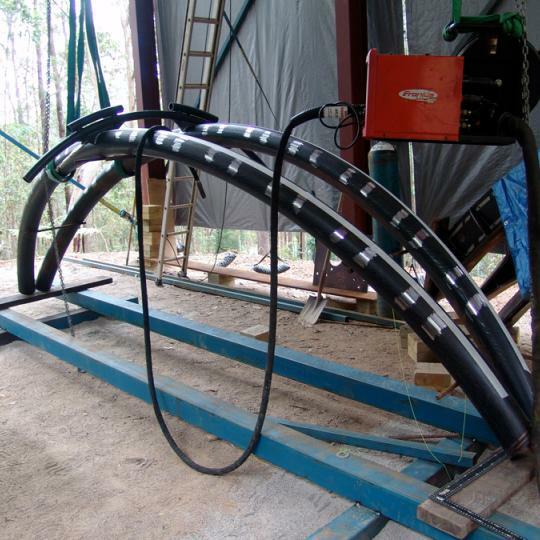 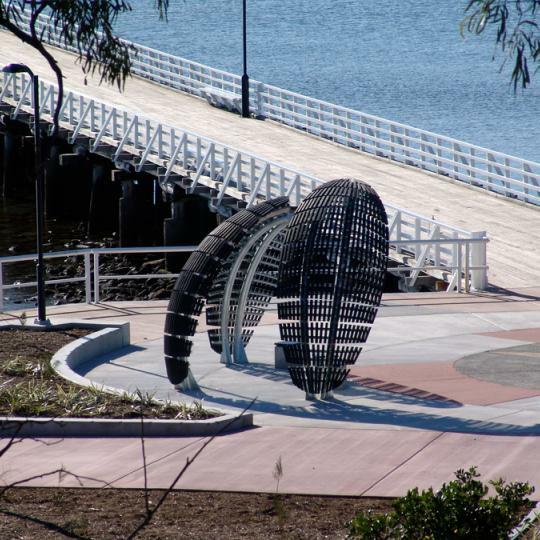 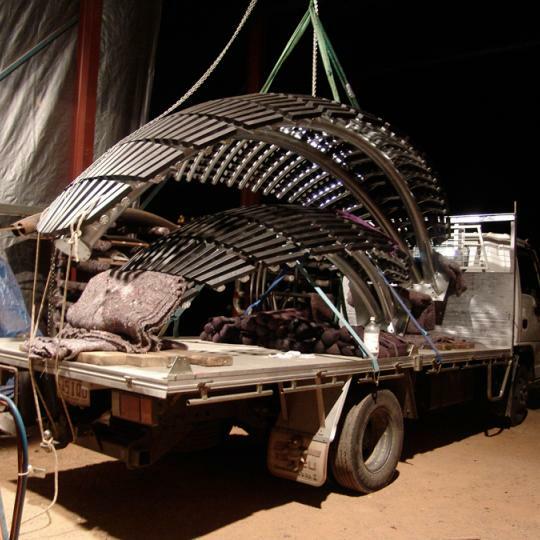 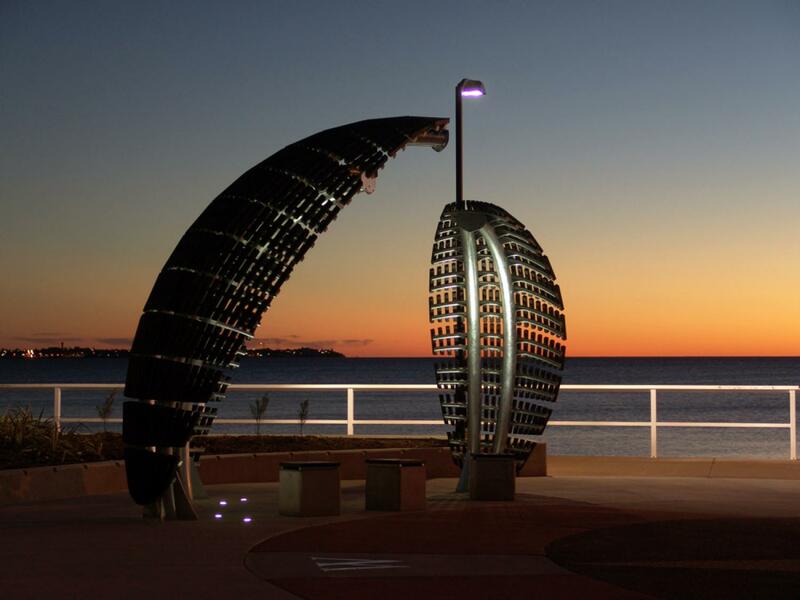 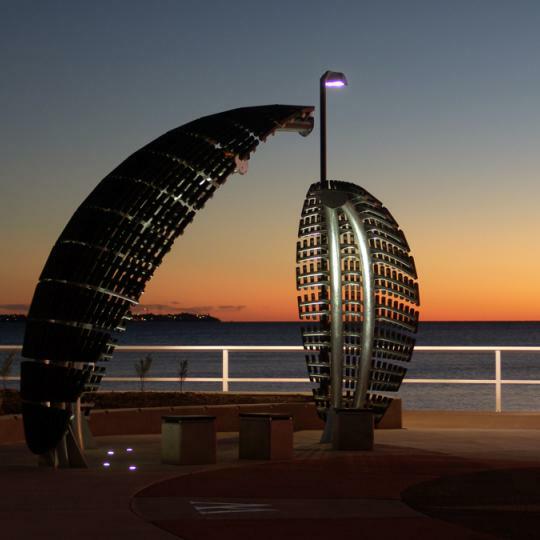 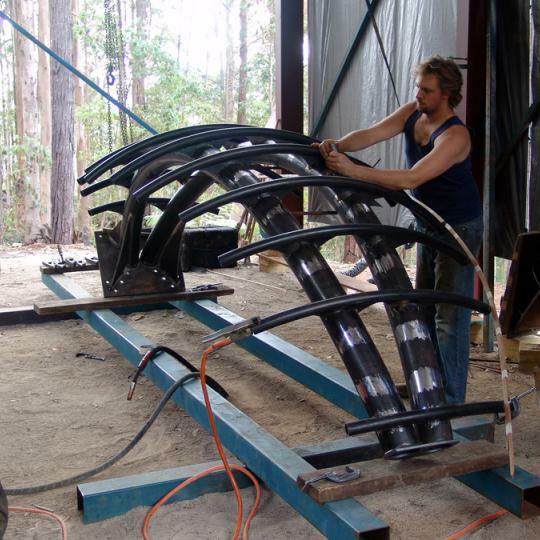 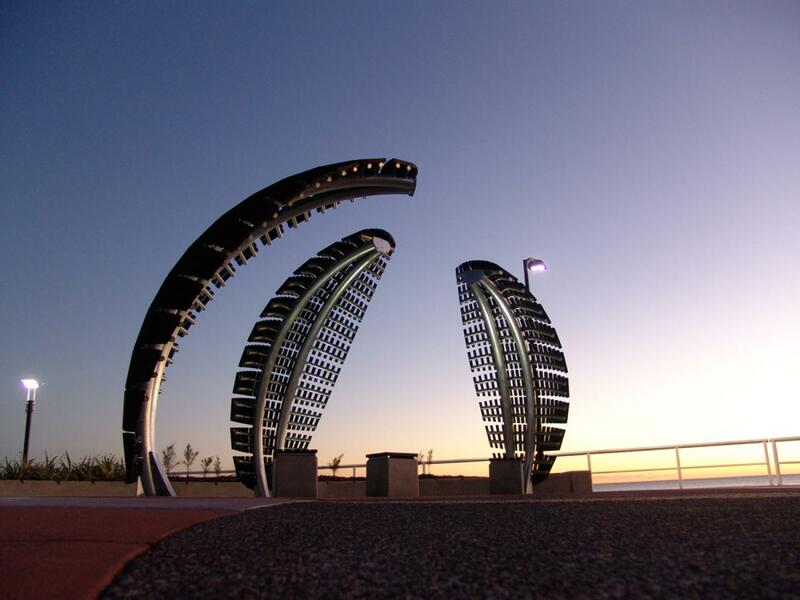 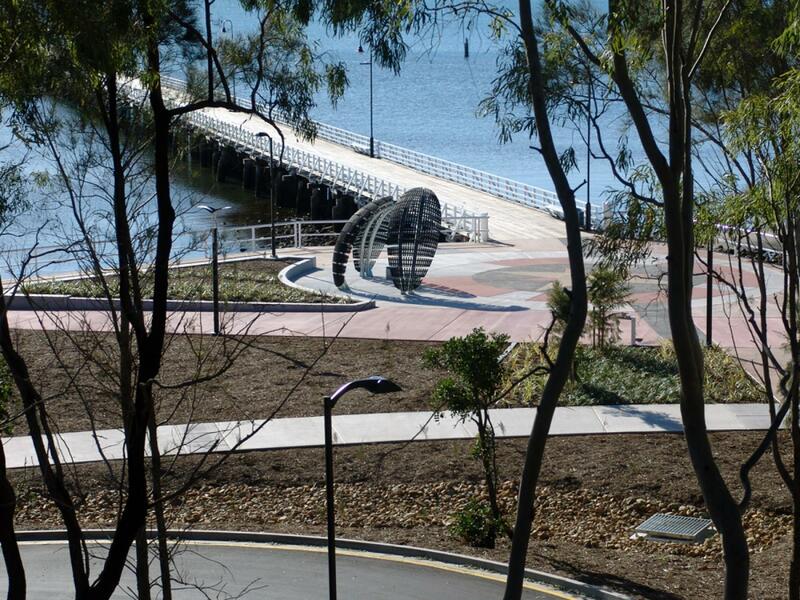 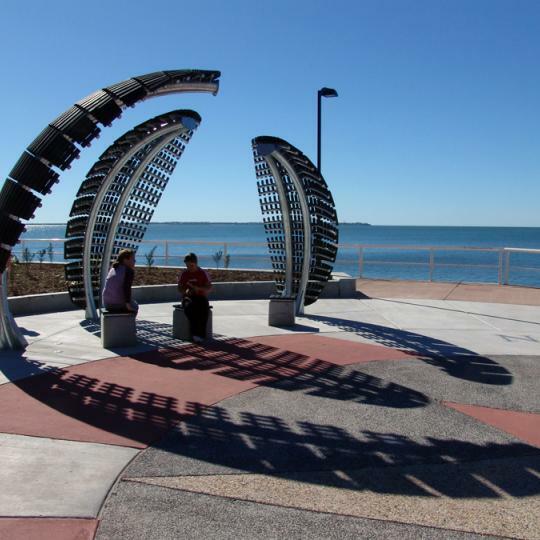 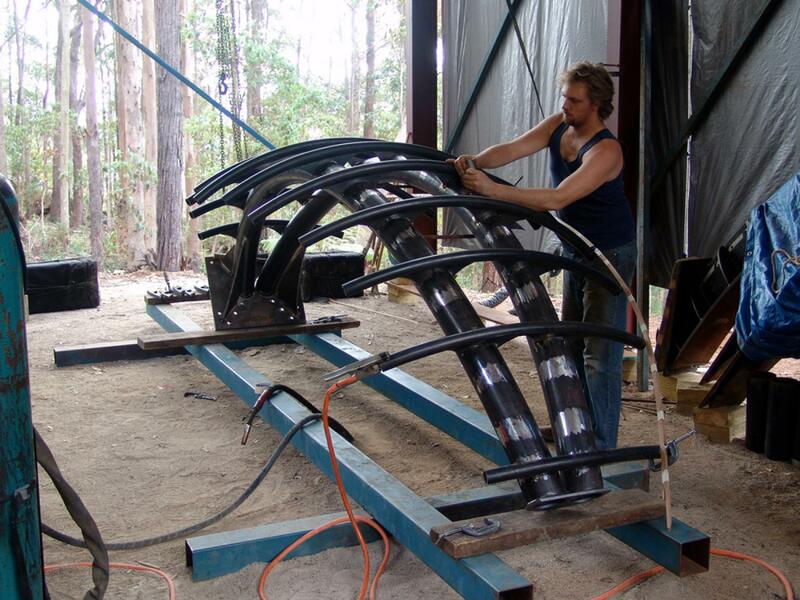 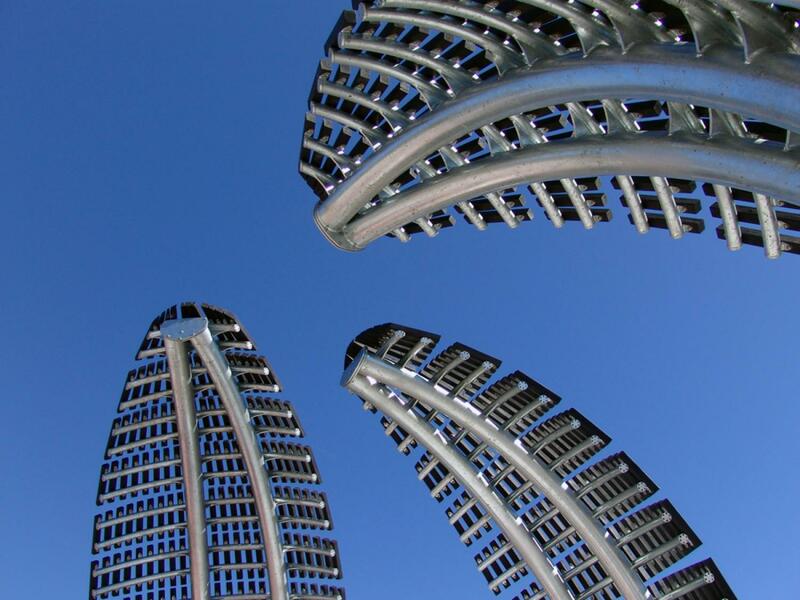 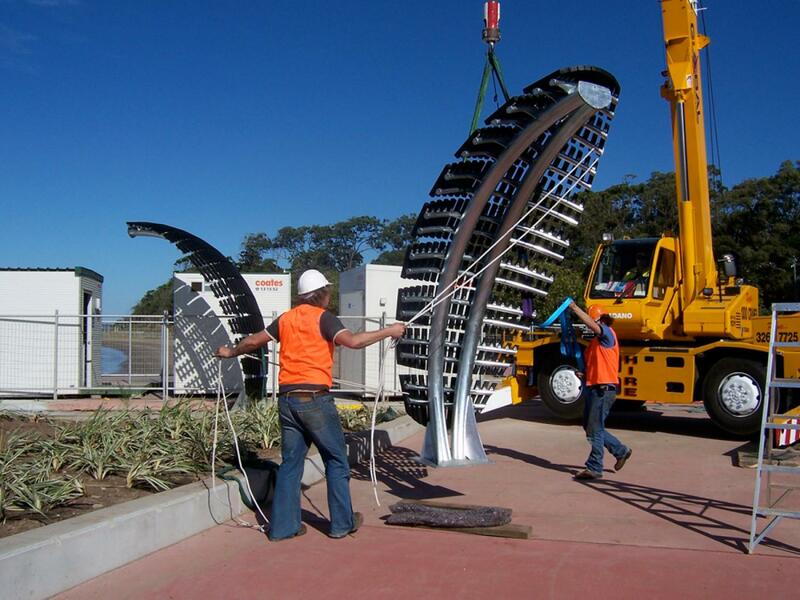 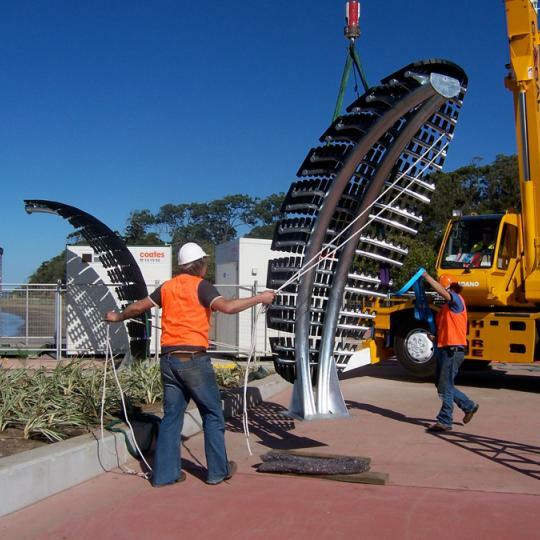 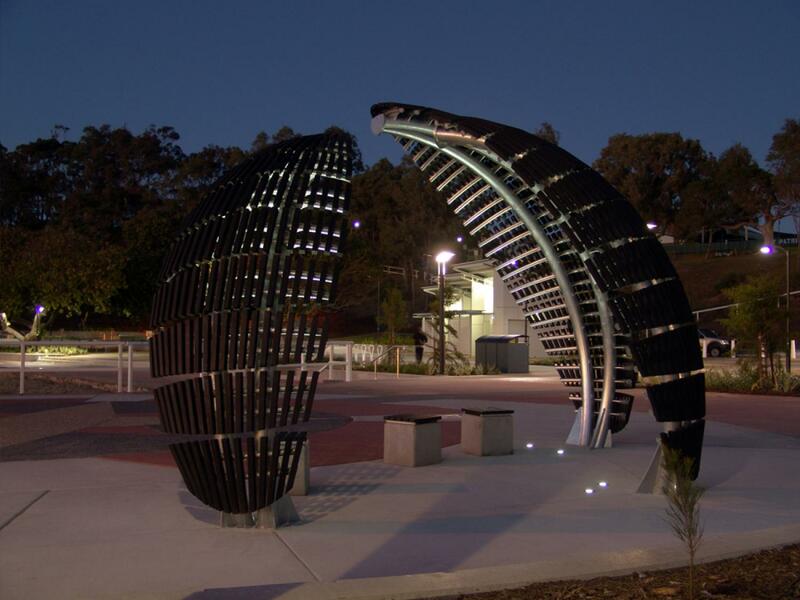 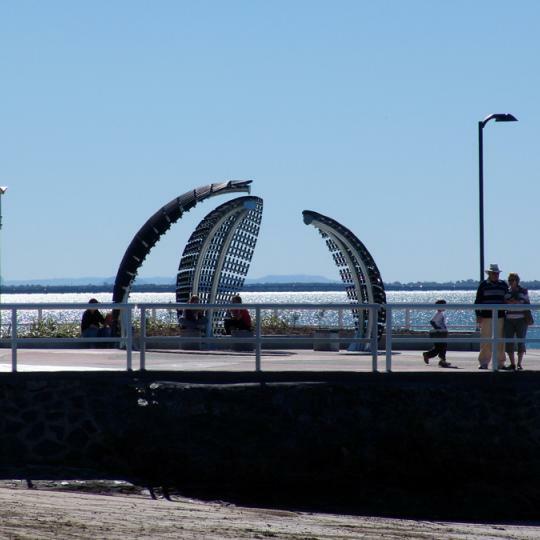 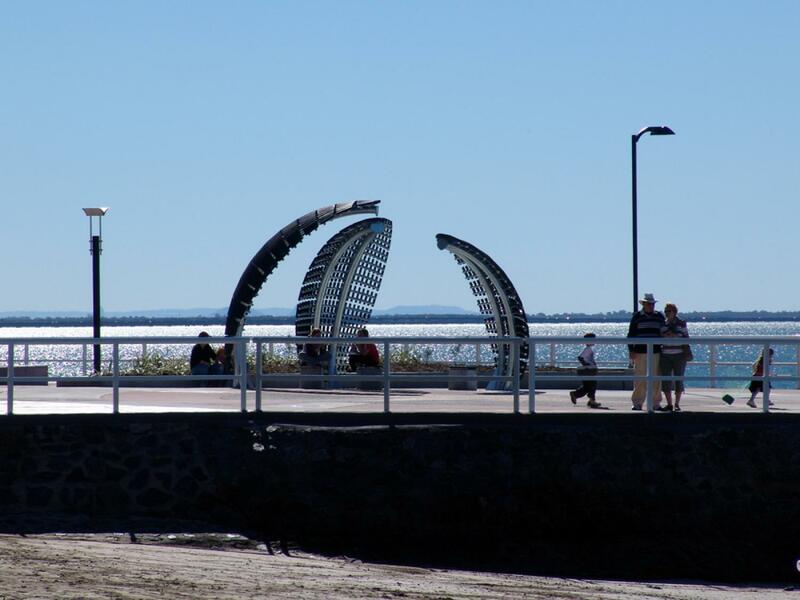 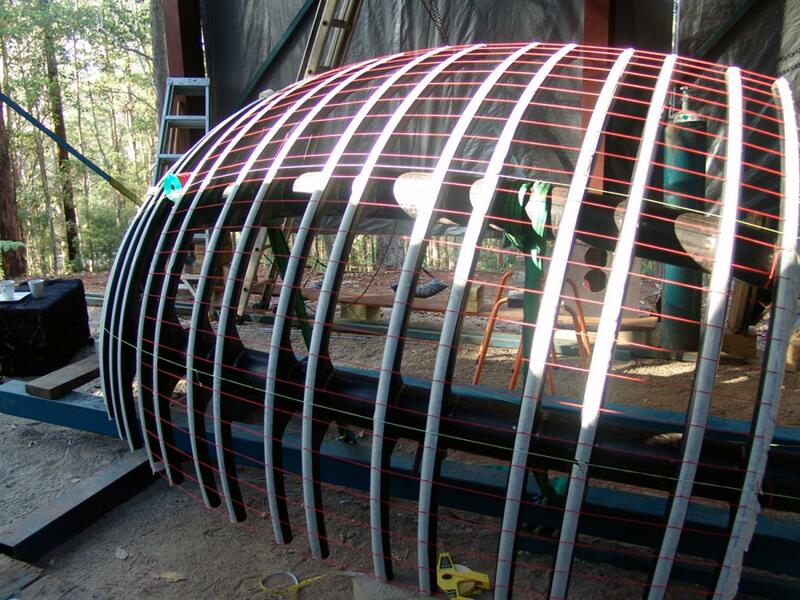 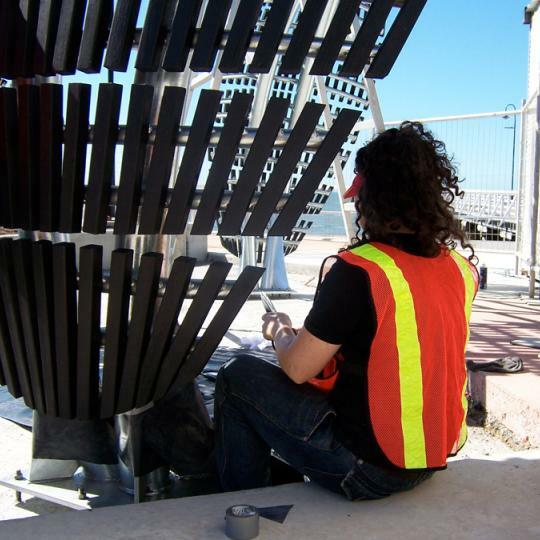 Billow commissioned by Brisbane City Council for Shorncliffe Pier. 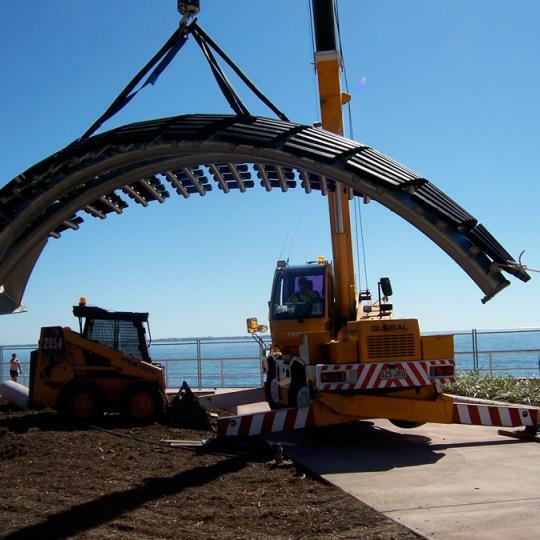 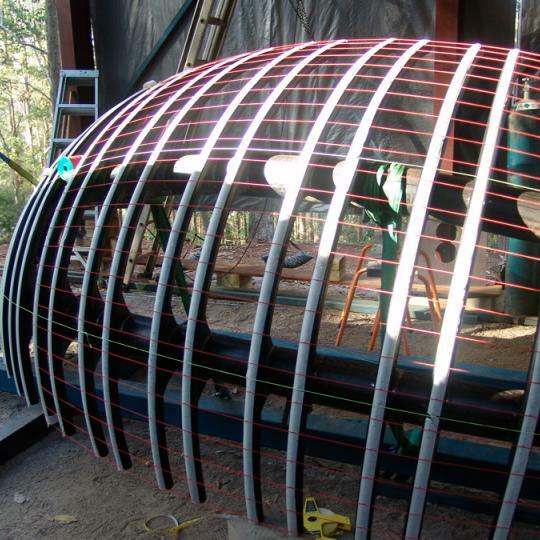 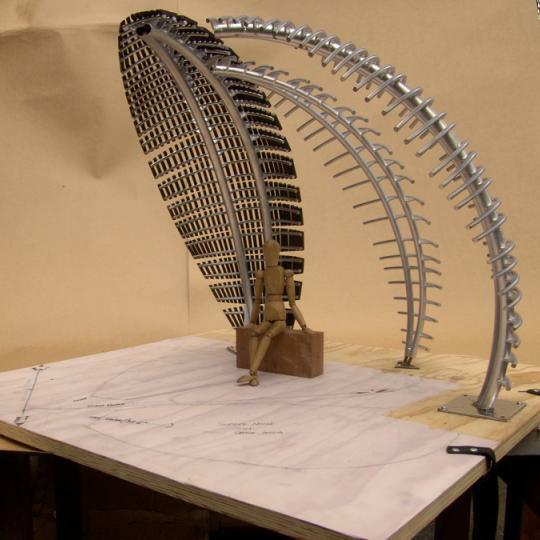 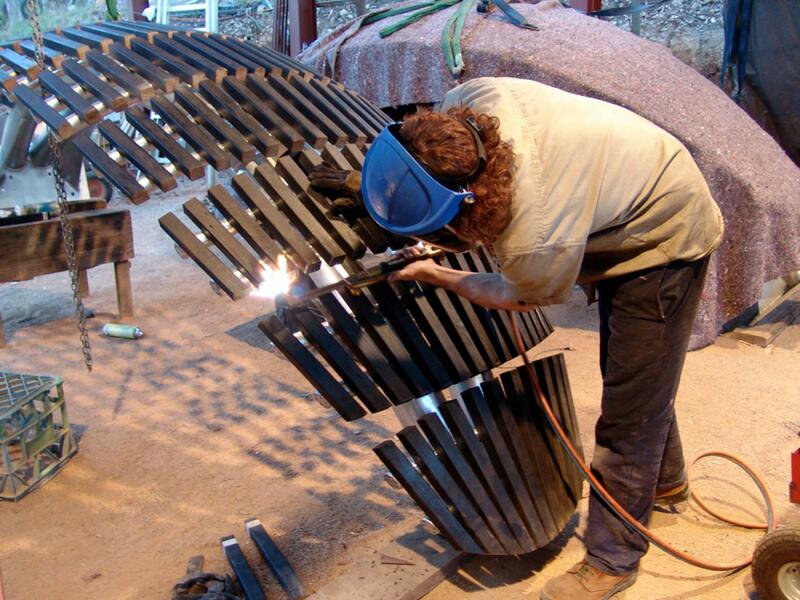 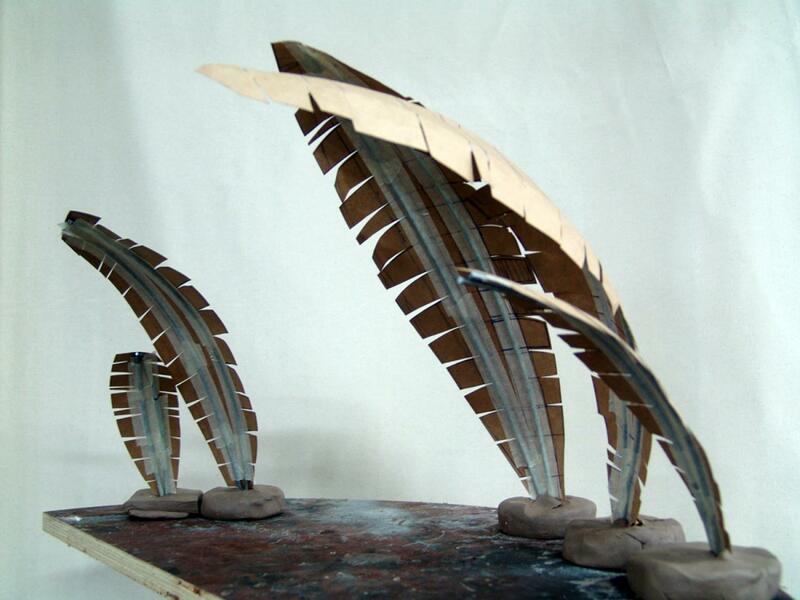 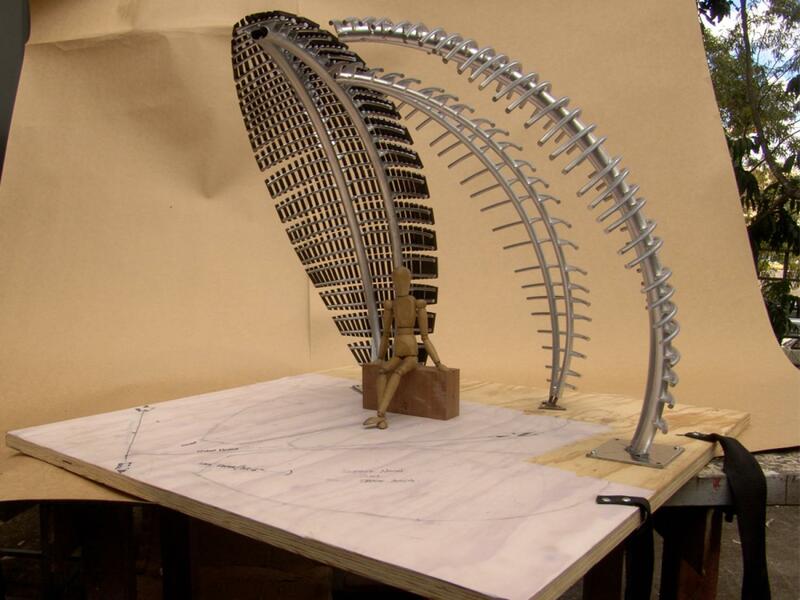 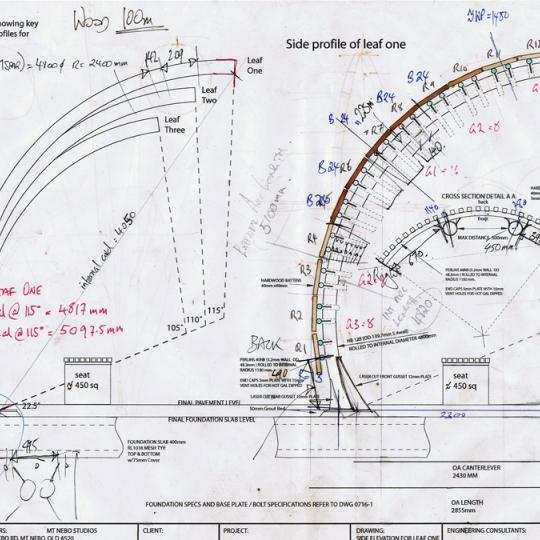 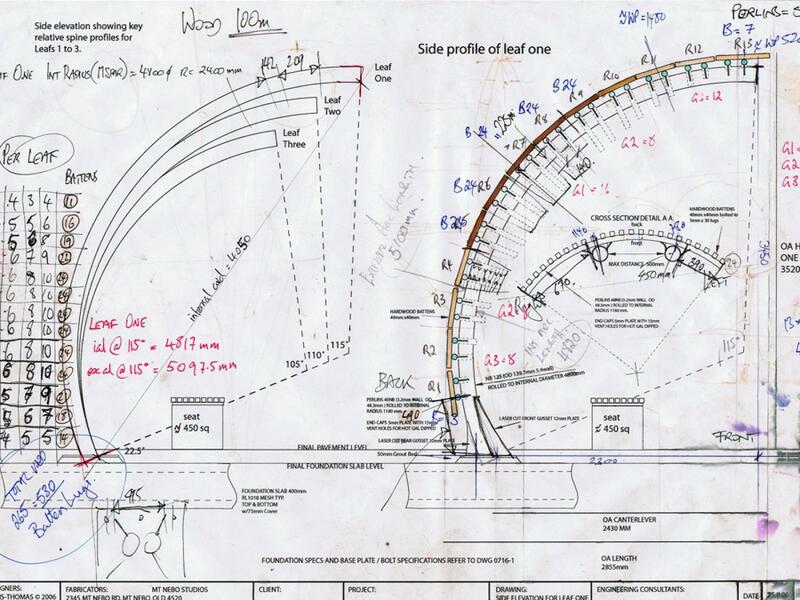 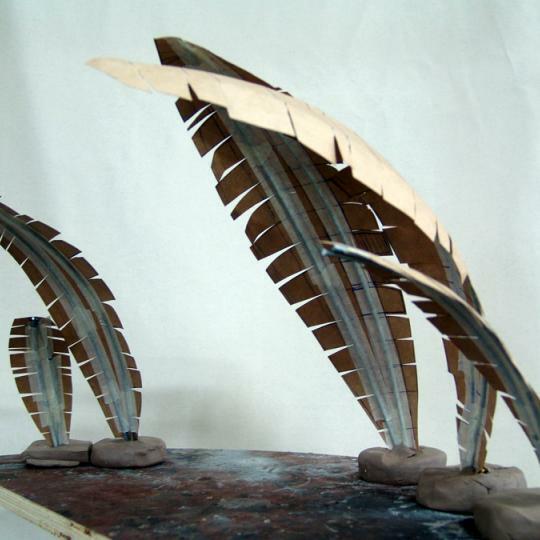 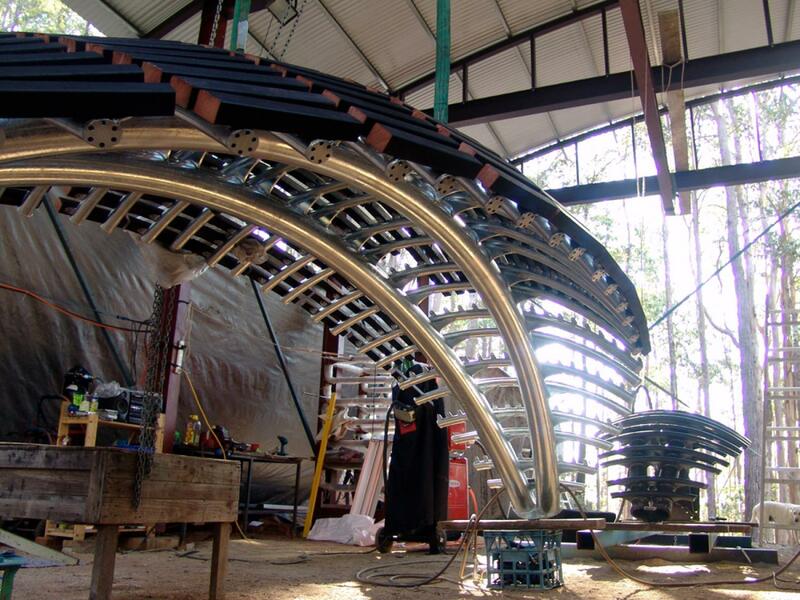 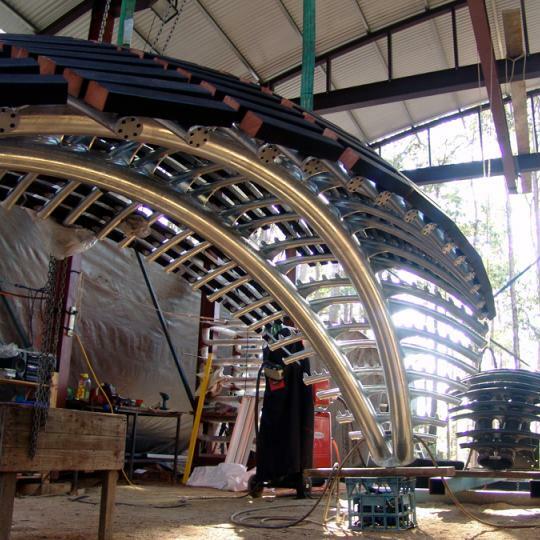 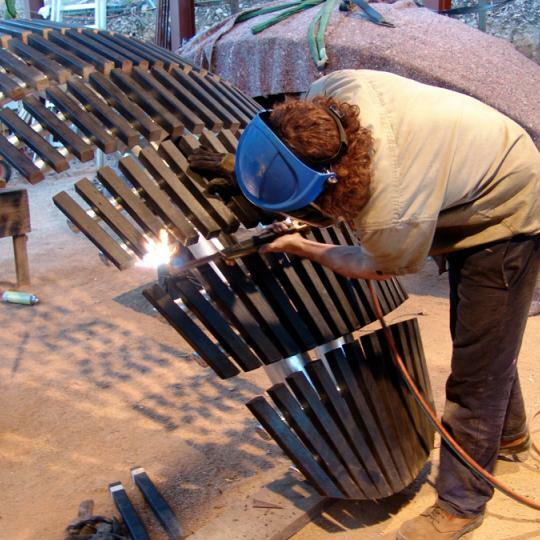 Working under the design brief to create sculptural shade structures, Billow is a site-specific work inspired by the full spinnakers of the sailing boats, as they come close to the pier’s end for their final jibe into the home straight.